Platelet Rich Plasma Therapy was first developed, used and validated for orthopedic surgery with a body of clinical literature accumulated over more than thirty years. In this treatment, the healing platelets from blood plasma separated from a patient’s own blood are re-injected into the body to enhance healing. 2) Blood draw: Your physician takes about 2 teaspoons of blood from your arm, in the same way you would have a regular blood test. 3) Isolating Platelet Rich Plasma: The drawn blood is placed in a centrifuge for 5 to 10 minutes. This equipment spins the blood at high speed to separate the lighter plasma from the rest of contents of the blood. This isolated platelet rich plasma is “activated” with calcium chloride to begin releasing growth factors that, once injected into the body, will increase collagen production and have other healing effects. 4) Topical anesthesia: If required or requested, our Doctor will apply a topical numbing cream to your face to keep you comfortable during your treatment. 5) Injection of Platelet Rich Plasma: Our Doctor injects the separated and activated platelet rich plasma back into your face. 6) Repeat: Best results are obtained after about three treatments spaced about a month apart, though a single treatment can be effective for some individuals. 7) Watch and wait: Growth factors contained in the plasma stimulate the release of the skin’s stem cells. The skin is being tricked into believing that it has been injured and must heal itself with new, fresh tissue. This somewhat sneaky process allows the skin to create new collagen, new blood vessels, and new cells. The results will not be immediate, so while you patiently wait a few weeks and even a few months, your skin will begin to transform itself. How long does a Platelet Rich Plasma treatment take? An appointment for a Platelet Rich Plasma treatment will take about 30 minutes to one hour, though treatment time varies depending on the number of areas you are targeting. The Vampire Facial requires little recovery time. There may be redness and some tenderness on the first day that . Occasionally some bruising may occur. Results of Platelet Rich Plasma Therapy: What can I expect? We recommend after your Platelet Rich Plasma Therapy, skin hydration and sun protection using Image Skincare products is paramount. A daily skin care regime that includes a moisturiser, serums and the application of sunscreen of 30 SPF or higher throughout the day is critical. Platelet Rich Plasma stimulates the body to create its own new collagen and tissue to create youthful volume and improve tone and texture. 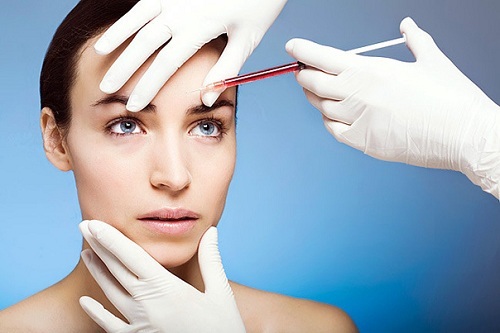 It can often be used in areas where dermal fillers are not safe. Platelet Rich Plasma treatment does not target individual lines and wrinkles but rather improves the overall quality of an area. While the Vampire Facial has been a media darling, its popularity is not just hype. Early clinical data and positive patient reports indicate a strong future for Platelet Rich Plasma Therapy. As with any cosmetic treatment, a thorough consultation with our experienced doctor can answer all of your questions and give you information about this treatment and your other medical options is a must.